BAHCO Tools is launching a smart nut-holder that holds nuts and bolts in either the ring or the open-end on spanners in sizes between 10 and 19mm. The nut-holder is manufactured in stainless spring steel fitted with a powerful floating magnet. The holder can easily be fixed to the tool and then retains the nut in the correct position. It is a welcome innovation for mechanics who often have to fit nuts or bolts in confined spaces. Bahco's patented nut-holder is simple to fit and operate. The holder clamps firmly to the handle of the spanner. The magnet then holds the nut in the right position in the tool until the nut engages with the threads. The holder is very effective in confined spaces where the user cannot manually locate the nut or bolt in the right position. “We have carried out a number of tests and have had only positive comments from our test-users,” says Mark Haywood, trade marketing manager for Bahco. The new nut-holder has the designation Bahco NH10-19, where the numbers represent the spanner sizes that the holder will fit. 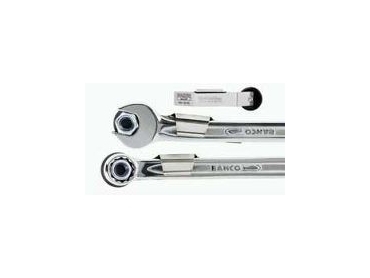 The nut-holder forms part of the 111M series combination spanner sets, without extra cost, as an element in the current campaign to change the product label Belzer to Bahco.